You will automatically be added to the owners club. once cards start showing up in consumer's hands. Look for the sign-up here. 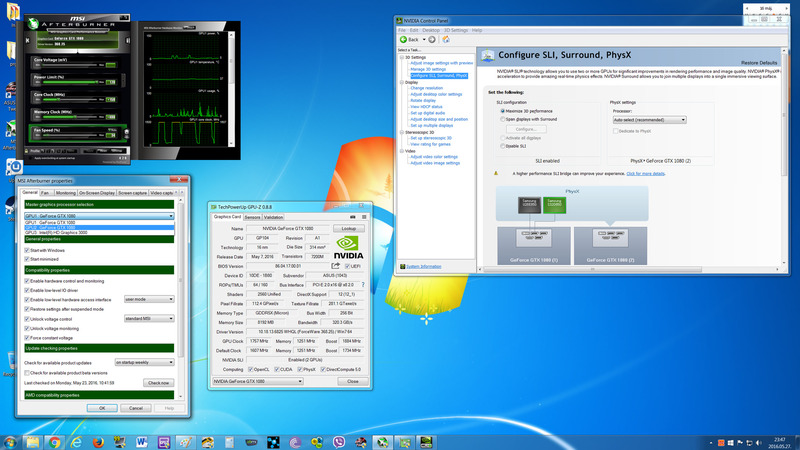 Is the a page to unlock the 1080 for > 2 SLI up yet? I haven't seen one yet, but I'd be willing to guess a lot of the discussion will happen here if my Haswell-E thread is any indication. Trying to figure if the EVGA ACX 3.0 is that much better than the founders edition. Currently the founders edition is $79 more. Problem with their site crashing from demand I had no chance to see the differences until now. I thought that like a bad consumer "Higher Price = Better card", Its a $79 difference between the ACX 3.0 and Founders Edition. I shot them a call and they said I would have to cancel my step up (get out of queue) and try to get through the site again. I guess, I could just try calling them if they approve the step up and see if that helps? What would you do. Just be happy I got through? Has anybody fired on the Founders Editions? I see stock fluctuating for the Asus ones on NewEgg. Looks like they had them in stock three different times. Do you know how to get one of them fancy SLi Bridges for your cards? ASICQ? GPU-Z 0.8.8 not supported this time, but the test version of AIDA64 is works fine. ASUS GTX 1080 FE model number is GTX1080-8G.